Get a second look when you wear this cap. The modern and fun shadow effect is eye-catching and creates an illusion that makes you stand out from the crowd. The cap has a classic 6-panel design and comes with a pre-curved peak. It is made from a heavy brushed cotton which offers a smooth and luxurious feeling and is extremely durable. This fabric is also very breathable, perfect for our hot Aussie weather. The high quality fabric is easily maintained by wiping with a damp cloth and allowing to air dry. Double stitched seams and high standards of construction ensure that the cap will always retain its shape. This cap features a shadow design on the front and comes in a three-tone selection of colours. 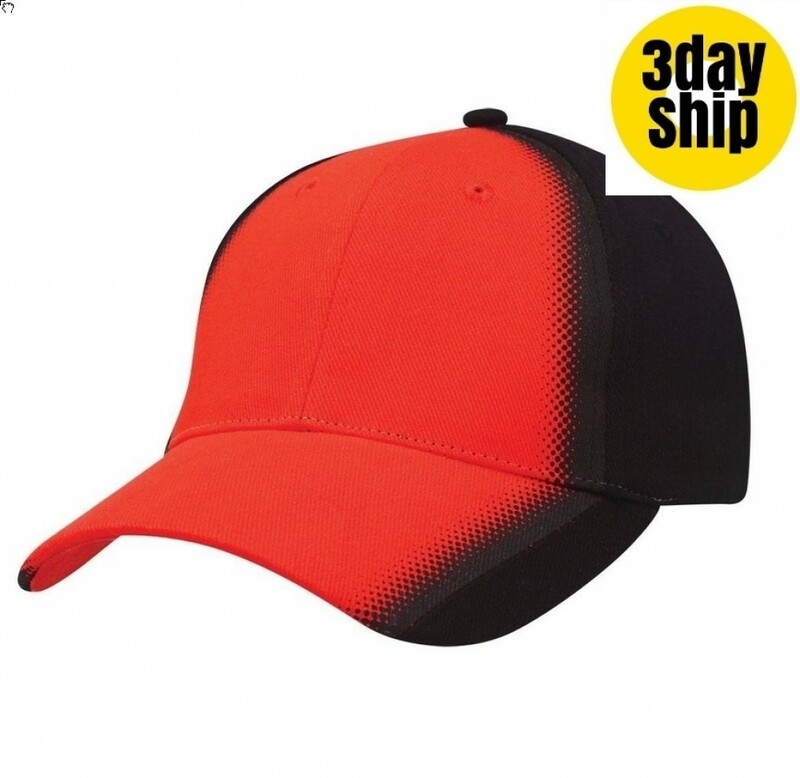 These caps are ideal for sports teams, clubs, schools and colleges. Showcase your team spirit and brand your logo or emblem onto the cap. They also make unique promotional sales items for your next fund drive or for your gift shop. Pricing includes 8k stitches embroidery of your graphic. Choose to place your logo on the peak, sides or back of the cap. Embroidery can accommodate the multiple colours of your logo and graphics. A set up of $50 applies for orders under 50 units. Delivery within Australia only. Pricing excludes GST.